Have you ever had the experience of writing a great song, only to find that you’ve lost the magic somewhere in the studio? You’re not alone. Many singer / songwriters have had the experience of “losing a song” in production. It can be really frustrating to walk away with a track you feel half-hearted about, when you’ve invested time, money and effort bringing it to life. This sort of eye-opening experience can show us just how dependent we are on others to realize our creative vision. You don’t have to become a full fledged music producer or engineer, but by becoming knowledgeable about key aspects of the production process, you can become a more empowered music creator. To me, a music creator is not only a songwriter but is also someone who can be an active participant in shaping the sound of their song. And becoming a music creator is essential for anyone fed up with recordings that don’t capture the sound they are hearing in their heads. 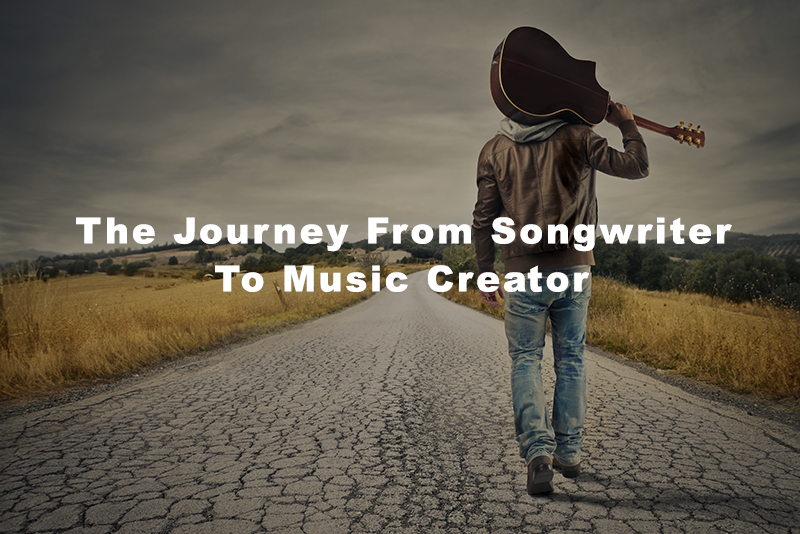 In this article we’ll explore 3 essential steps that any songwriter can take to become a more effective music creator. Producers listen to songs on many different levels. They are listening to things like the instrumentation, arrangement, dynamics, groove, tone, sound of the room and much more. Learning to listen this way takes understanding, experience and practice. A good place to start is by creating a playlist of sample songs that have a sound you like. Once you have about 10 songs in the playlist you can start to analyze the instrumentation of each track. The choice of instrumentation has a major impact on the sound of the final production. A song can be interpreted many different ways; from a stripped down piano, vocal, guitar arrangement to a full band sound. The key is being able to clarify the direction you want to take in pre-production. It’s also important to learn how to hear each different instrument separately within an overall mix. At first you may have to practice listening to a given instrument within the mix to really hear it. After awhile it becomes second nature, but it can still be challenging to separate out subtle textural elements, such as multiple guitar tracks, keyboard / synth pads, percussion and backing vocals. Take notes of any sounds that you might like to incorporate into your productions. The more specific you can be the better. For instance, I like the roundness of the bass, attack of the snare drum, warmth of the vocals, etc. When doing this, be sure to pay attention to where the different instruments sit in the mix – panning can have a dramatic effect on an overall song, and many producers like to try different approaches to panning to bring out and emphasize different sounds and textures. The emotional impact of different sections in a song can be shaped by where and how different instruments come in and out. Spend some time listening to how the instrumentation changes on verses as opposed to choruses. Sometimes a subtle line or motif will give the chorus an added lift. Or it might be a tight vocal harmony that comes in on the second verse that helps build the song. These are the kinds of details you want to start paying close attention to, so when you step into the studio you can give meaningful direction to other producers, engineers and musicians. Learning the basic functions of a multi-track DAW (digital audio workstation) like Pro Tools, Logic Pro, Reaper, Reason, Cubase, etc. is a great starting point. Not only will they be great compositional tools that you can use for years to come, but when you work with a producer or engineer, they will be using one or more of these tools to manage your project. DAW’s are designed for users of all levels, so there will be a ton of features and functionality that you may never end up using. For some songwriters just sitting down to the computer to work on music can be a kind of mental block. It can feel cold, technical and divorced from the creative process. But just as most graphic artists have a basic understanding of Photoshop, so too should songwriters know how to track and do some basic editing in a DAW. Production is an art and science that music creators can and should practice. There’s a lot of different ways to practice producing these days. A natural place to start is by learning a few different ways to record your voice and / or main instrument. You’re going to find that you like certain microphones better that others, and how you place the mics makes a big difference. You’re going to find that the sound of the room can have a big effect on the sound of your track. There’s no shortage of things to learn, but the idea is just to start somewhere. Once you get more familiar with editing in your DAW, you may want to try to create a full song sketch using virtual instruments, loops and / or other musicians. You can record your parts directly, and build the song one track at a time. Keep your expectations modest – odds are you’re not going to produce the next Bohemian Rhapsody on your laptop. You just want to attempt to create something that captures the general sound you have in your head, so that when you’re ready to step into the studio or work with a producer you have a blueprint to help direct the production. The more you practice, the more your production vocabulary and chops will improve. Perhaps the greatest way to get better is to learn from others who have more experience. Don’t be afraid to take a few lessons, get a production consultation, experiment with hiring session musicians, or, try working with online session singers if you’re in need of a vocalist. There’s never been more access to great talent and resources, but it is really up to you to take the initiative and begin experimenting along the journey to becoming an empowered music creator.